If you're touring, or even playing a lot around town, the rugged Road Runner 7-Guitar Stand with its own flight case is perfect for you. 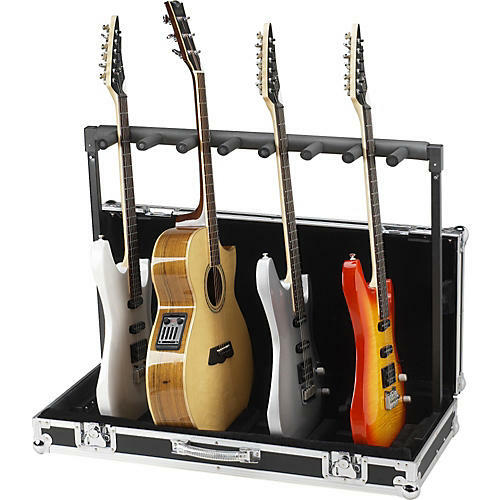 Holds 7 acoustic, electric, or bass guitars in any combination. Moveable base pieces secure with Velcro to custom fit your collection. The stand folds into a guitar-sized flight case with chrome-plated ball corners, butterfly locks and aluminum-reinforced edges. Plush velvet interior prevents scratches.